This past Saturday was my daughter's fifth birthday! Of course like any self-respecting prima ballerina, she wanted everything pink and fluffy with tulle, so I tried my best to oblige. 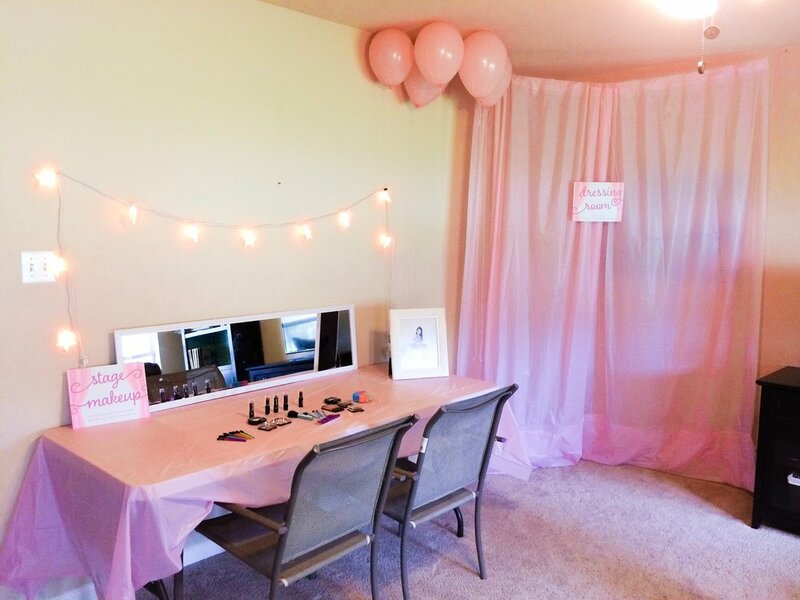 It was a good time for the girls, including a "stage makeup" station, a "dressing room," lots of tasty treats, and some crafts. I designed everything for the party, starting with the invitations. I had these printed on a soft white, 120 lb. eggshell card stock, and they turned out AWESOME. Thanks to the texture of the paper, they looked and felt like little paintings in the hand. Couldn't have been happier, and neither could my daughter! I cut the picture to protect our address and privacy, but you can check out the full invitation here on my Etsy shop. The colors are a bit more accurate in the Etsy mockups than this photo (I never claimed to be a photographer!). I made a cake topper to match the invitation by printing two of the ballerinas on 240 lb stock, cutting, and affixing them to a skewer (it was double sided, so one image was reflected). In hindsight, the thickness of the paper was a mistake! It was so hard to cut. The good news is that hopefully it'll last for a long time, so it can be a keepsake for my girl. It looked so pretty in the finished cake (which I decorated in a watercolor style to match!). Next, the tables and "stations" required signage, so I designed those too! It was fun to watch the girls try out the different areas. They especially loved the stage makeup! Okay, so I threw in the drink station even though the signs aren't visible. But I just HAD to show you because I LOVE the dispensers and milk bottles I bought for the occasion! 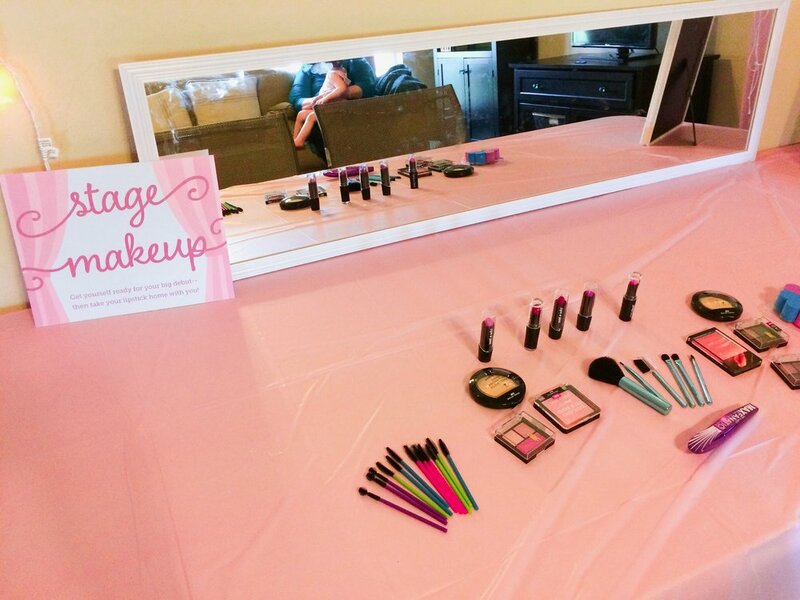 One of the most fun things for the girls was the craft I had designed, printed, and prepared in advance. This is something I'm going to be giving away for FREE because honestly, I was so frustrated when I couldn't find anything suitable or cute enough to serve my purpose. I scoured the internet for a ballerina paper doll printable and found basically nothing I liked. So I made my own! This printable can be used as a craft, party activity--you name it. You can cut the ballerina out if you'd like, but I personally like the idea of leaving her on her stage. As a mom, one less tiny, cut-out piece is one less thing I have to pick up later. There are enough cut-out articles of clothing with this one! 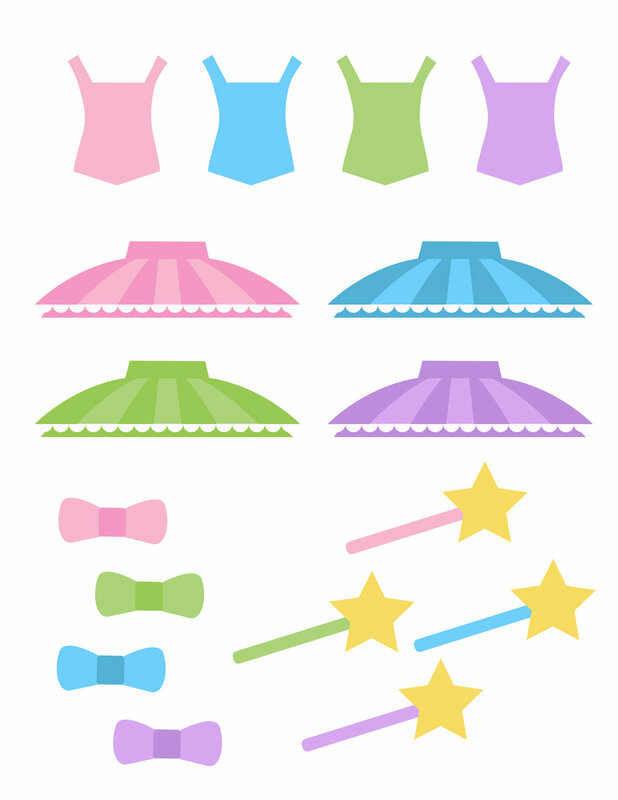 The free printable PDF includes 7 ballerinas with different skin/hair colors, as well as tutus, leotards, hair bows, and wands in 4 different colors (pink, purple, blue, green). I highly recommend printing this borderless if your printer has the option--it just gives it a nice finished look, plus you avoid any scaling issues between the pages. Gotta make sure those clothes fit! Feel free to flip through below to preview all the pages! You'll find your download link at the end of this post. 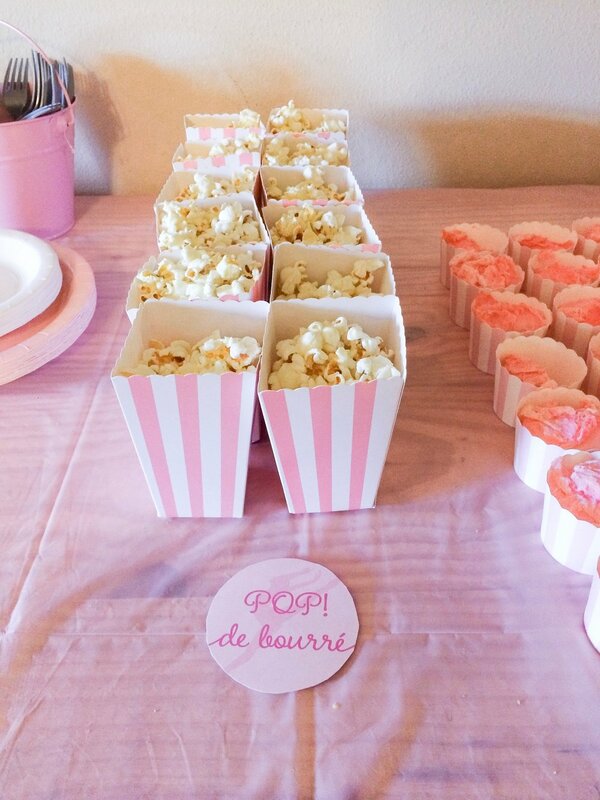 Needless to say, this ballerina birthday party was a success! 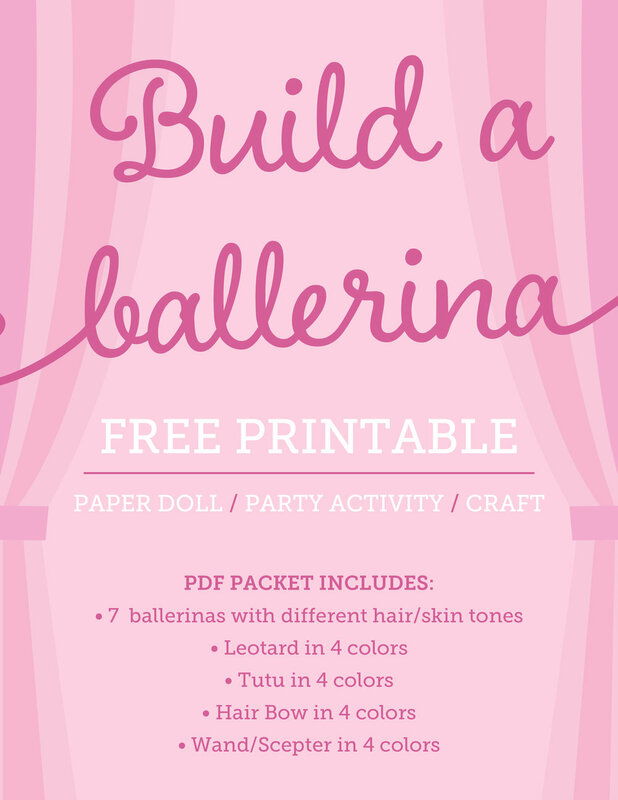 I hope this Build a Ballerina printable might help you with your own party or just give you something fun to do with the kids! I'd love to see pictures of your little ones enjoying the craft--feel free to tag me on instagram (@khariscreations) or use #buildaballerina to show off your kids' art! Y'all. This is a good one. I have been dreaming of this logo for a while now, and this week it finally came true! I had the great honor of creating an illustration for my best friend and (self-proclaimed) twin. Amongst other things, Mrs. Allison J. Kennedy is an author with three--almost four--completed novels under her belt. She's also a photographer, a poet, an artist, a singer, a guitarist, and an all around jack-of-all-creative-trades. Although, if she's really my twin, that probably doesn't apply to dancing. 2016 Holiday Cards Are Here! Now I hate to be guilty of passing over Thanksgiving, but to me, the start of November means something more than cornucopias and pumpkin pies. To me, November means it's Christmas card season!